First Quick & Easy recipe, here we go! Honestly, the majority of things I cook would fall under this category but by the time I think to write it up I’m practically done scarfing it down. This is what I like to classify as a “meal salad” because of how hearty and satisfying it is and also because it contains all the carbs, fat, and protein you need for a well rounded meal. 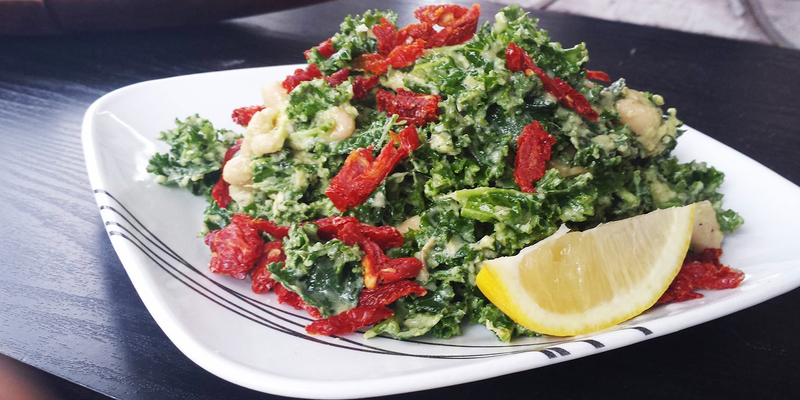 I try to eat kale almost daily because of it’s immune boosting properties we all seem to need around this time of year. 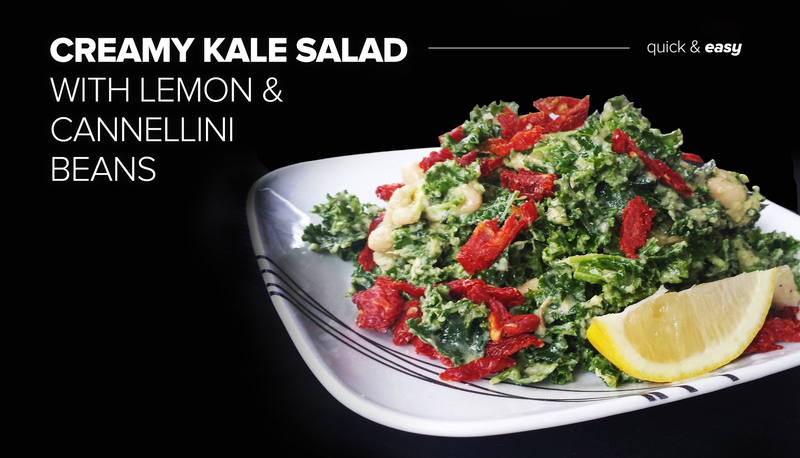 The curls of the kale leafs lock in all the creamy goodness of the cannellini beans and avocado and the lemon brightens it all back up and keeps it fresh for hours in case you want to pack it as a lunch. All in all it packs a powerful amount of nutrients into one sitting and will leave you feeling satisfied and fabulous. 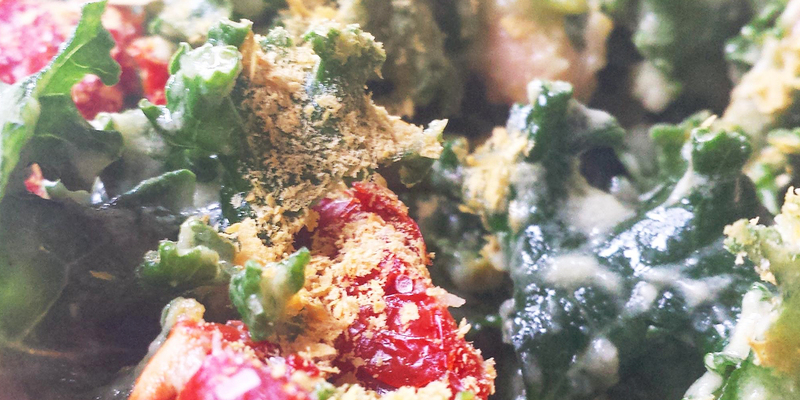 Rip up your kale and get it in a bowl. 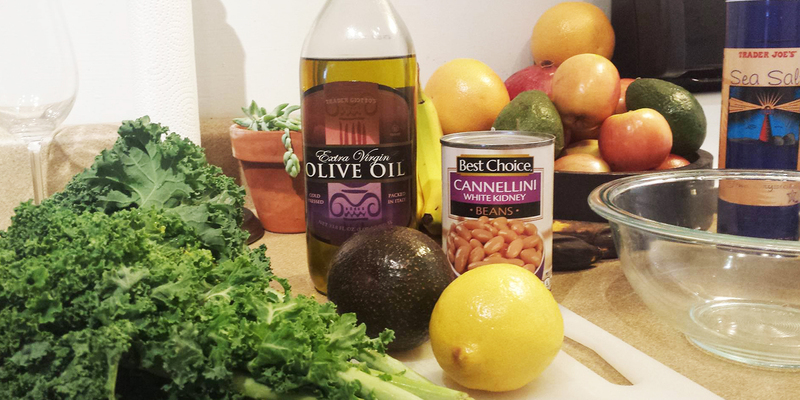 Drizzle the olive oil and the juice from a whole lemon over the kale. Open your can of beans, drain as much as you can then add a bit of water to the can, shake it, then drain again. Cannellini beans make the water their stored in super starchy and thick so you just want to get as much of that out as possible without having to pull your colander out (that ain’t quick and easy). Halve you avocado, take the pit out, then make a checker board pattern through the flesh – basically dicing it on the peel. 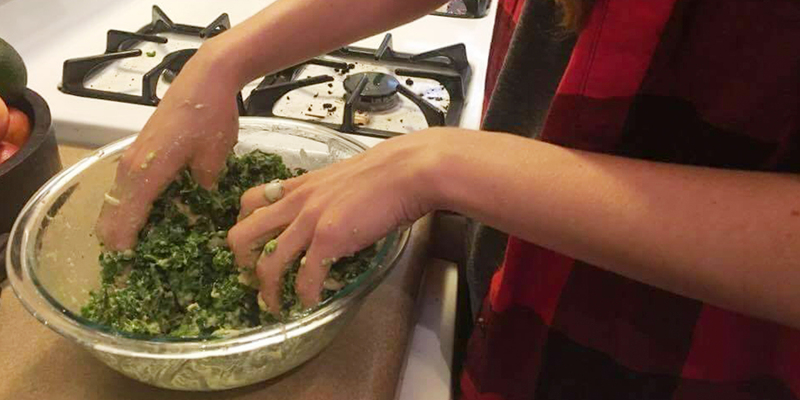 Using a spoon or the blunt side of a knife, scrape the avocado out into the kale. Peel and crush your cloves of garlic into the bowl. Salt and pepper to your liking, I usually do 1/4 teaspoon pepper and salt then add a bit more after serving. Adding a little now helps start softening the kale leaves. Alrighty, that should have only taken you about 5-6 minute. We’re right on track. This is the fun part. Wash your hands well and roll up your sleeves. 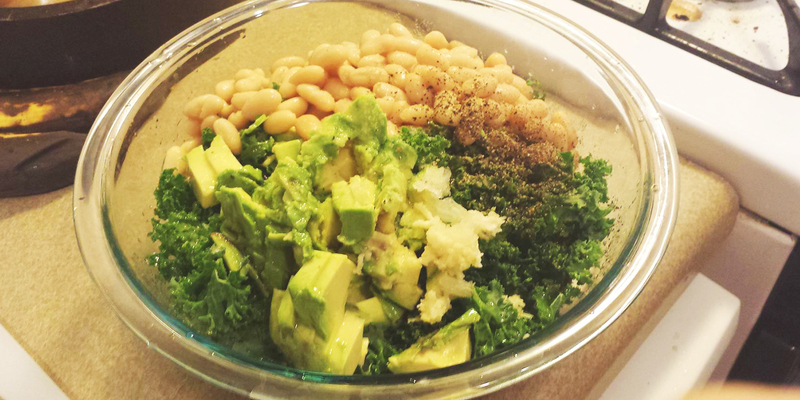 The only way to make this salad correctly is to give it a good massage.